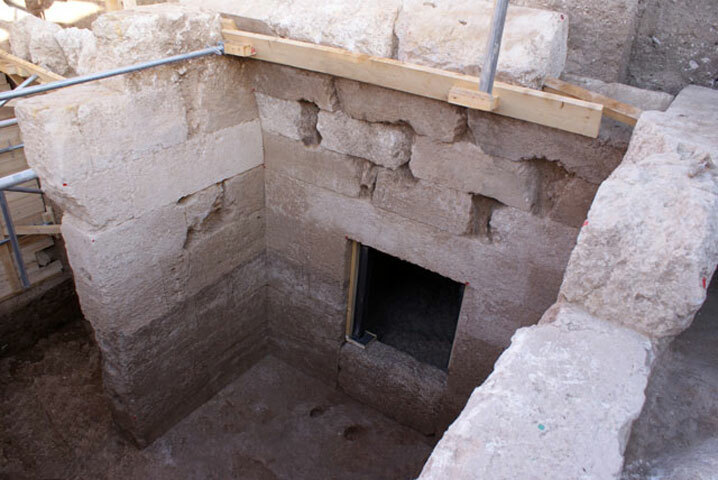 A new Macedonian tomb with four chambers came to light within the modern town of Pella during construction works. The Macedonian tomb was studied by archaeologists of the Ephorate of Antiquities of Pella from October 2014 until Decembr 2015, along with eighteen other cist and tile-roofed graves of the Eastern Cemetery of Pella, the ancient capital of the Macedonian Kingdom, which were revealed during the excavations. What’s interesting about the new Macedonian tomb of Pella is its architectural form. Apart from the central room with an ante-chamber and a main chamber, the tomb also has two side chambers on the north and the south side of the ante-chamber. The vaulted roof of the main room with walls of 2.5m height has been destroyed. The vaults of the side chambers, however, are preserved in excellent condition. In the interior of the southern side chamber there is a stone pedestal, upon which the bier of the deceased had been placed. 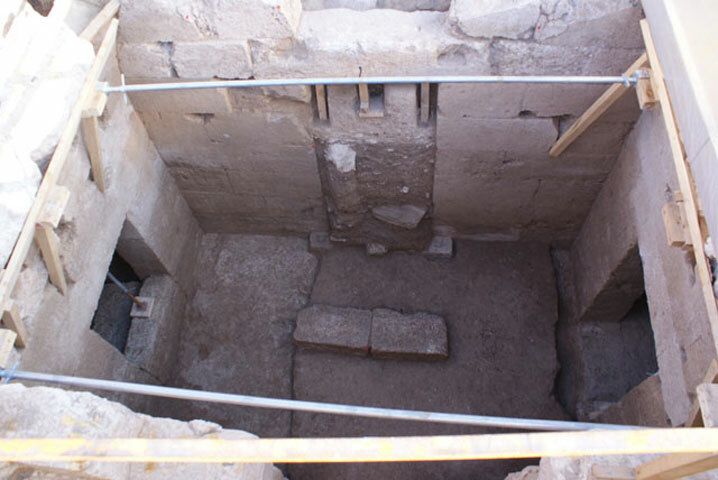 The entrance to the northern chamber was protected by a barrier, of which only the lower block is preserved. The road and the façade of the tomb, on its east side, haven’t been studied yet. 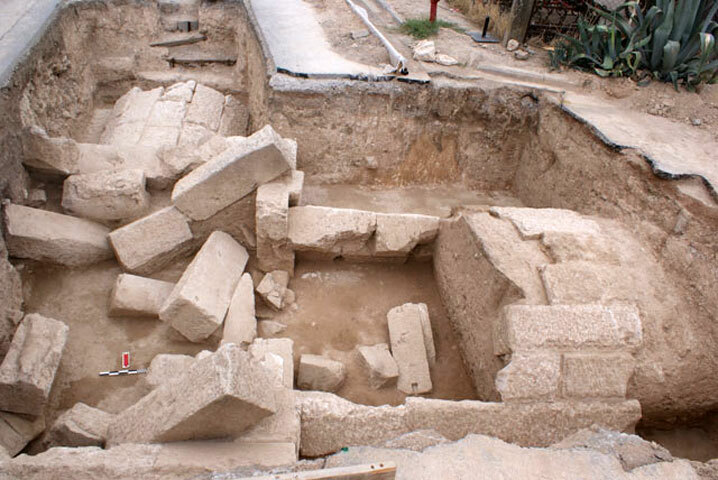 However, the fallen architectural parts suggest that the façade might have had a monumental form with a pediment crowning the top. Internally the ante-chamber closed by a wooden door of 2.78m height and 1.30m width. 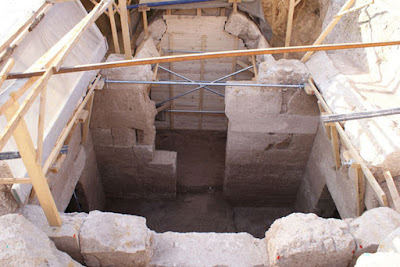 The tomb had been looted in the antiquity, as most of the Macedonian tombs. 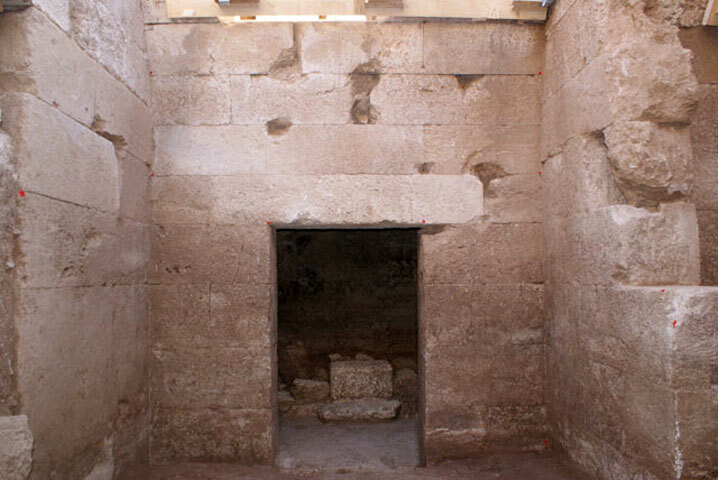 Based on the pottery, lamps and figurines found in the interior of the ante-chamber the construction of the monument dates back to the first half of the 3rd century BC. Αναρτήθηκε από mikres-ekdoseis στις 10:38 μ.μ.